The NBA season has begun, and the biggest news coming out of the off-season was the Los Angeles Lakers’ acquisition of Lebron James. The Blot’s still a little torn on this one as I’m not sure how to feel about my favorite basketball team adding the player I dislike the most to its roster. Then again, how can a fan ever be unhappy about their team adding the best player in the league to its squad? 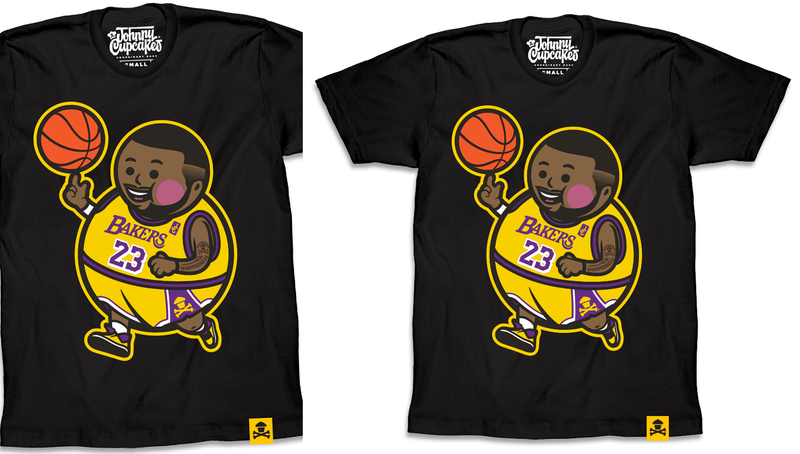 To celebrate Lebron’s move to LALA land, Johnny Cupcakes has released this awesome “Lejohnny Big Kid” t-shirt. The LA Lakers “Lejohnny Big Kid” Lebron James t-shirt is currently available in sizes XS-3XL at the Johnny Cupcakes online store for $35.99.